Congratulations to Melody for being selected as a finalist for the APS Division of Polymer Physics Frank J. Padden Jr. Award! A College of Engineering article can be found here. The Epps group welcomes Jordan Willie, Dajeong Kim, and Jignesh Mahajan as new graduate students! The Epps group welcomes Chao Wang as a new post-doc! Congratulations to Esther and Robert for passing quals! The Epps group welcomes Eric Gottlieb as a new post-doc! 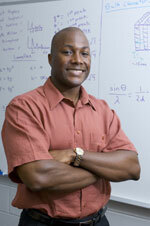 Congratulations to Dr. Epps for being named a Fellow of the Royal Society of Chemistry! Congratulations to Melody for being named the Fraser and Shirley Russell Teaching Fellow in Chemical Engineering! Congrats to Seung for a recent publication in Science! The Epps group welcomes Silvia Grama as a new post-doc! Congrats to Greg for passing quals! The Epps group welcomes Esther and Robert as new grad students! The Epps group welcomes Yi as a new grad student! Congrats to Seung for receiving the Hanwha Award for Post Docs at AIChE! Congrats to Victoria for receiving 1st-Place for her MESD Undergraduate Poster at AIChE! Congrats to Priyanka for passing quals! The Epps group welcomes Seung as a new post-doc! The Epps group welcomes Shelby and Grace, as summer REU students! Congratulations to Chad for successfully defending his thesis! Congratulations to Cameron for successfully defending his thesis! The Epps group welcomes Spencer, a summer REU student! Congratulations to Ming for successfully defending his thesis! Congratulations to Dr. Epps for his promotion to professor! Congratulations to Kai for successfully defending his thesis! Congratulations to Angela for successfully defending her thesis! Congratulations to Dr. Epps for receiving the 2015 AIChE Owens Corning Early Career Award! Please click on a name to email them. The University is located minutes off of the I-95 between Washington DC and New York. The campus can be accessed from Delaware exit 1B (South College Avenue).